Bank checks are a tried-and-true way to make payments. However, they can take some getting used to. With that in mind, a collection of tips follow that include everything you need to know about using checks. Find out where to get them, how to write one, how to deposit one and how technology can make your life much easier when it comes to dealing with checks. 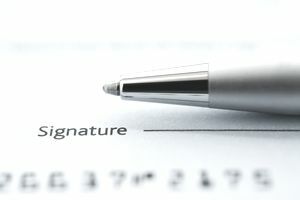 In fact, technology may one day make check-writing obsolete. To write checks, you’ll need a stack of blank checks. Your first set of checks will most likely come from the bank when you open an account, but what do you do after you’ve used them all up? You can order more personal checks (typically for a fee), print your own checks and get fancy with new bank checks, such as photo checks. When you’re just getting started, it may be intimidating to write a check, but it’s easy once you get the hang of it. When somebody writes you a check, how do you get the money? You generally deposit checks into an account so you can use the funds when you need to. The traditional ways are with a teller, through the mail or at an ATM. But you can also make deposits with your mobile device or desktop computer and get access to your cash more quickly. Ideally, you can go electronic and stop handling bank checks altogether. Sometimes electronic payments are easier. Instead of writing bank checks, you can use faster methods that help you track your spending. This includes auto debit in which a company you do business with, say your utility company, for example, automatically debits payments from your account on the same day each month. Every payment you make is automatically recorded and available to you on your bank's website. What about receiving money? Instead of depositing paper checks that people send you, you can get paid automatically through direct deposit. If you write bank checks, you need to make sure you keep an eye on your account. Writing bad checks (that is, writing a check for an amount that exceeds your account balance) can bring steep overdraft fees and other types of trouble. To avoid problems, learn how to manage your checking account before you write another check.